"; } postImageSlider += "
Prairie du Chien...It would be quite a thrill to catch Lucky, a giant carp that will be lowered from a boom in Prairie du Chien on New Year's Eve. Thanks to Mike Valley, lifelong commercial fisherman and the owner of Valley Fish & Cheese in Prairie du Chien, three people will get to accompany him on Sunday, December 11, when he goes out on the Mississippi River with a 400 foot gill net to snare this year's honored fish. Persons are eligible if they make a $1.00 donation to the 'Droppin' of the Carp' committee, with all proceeds going to the event. The winners will be announced on December 10. 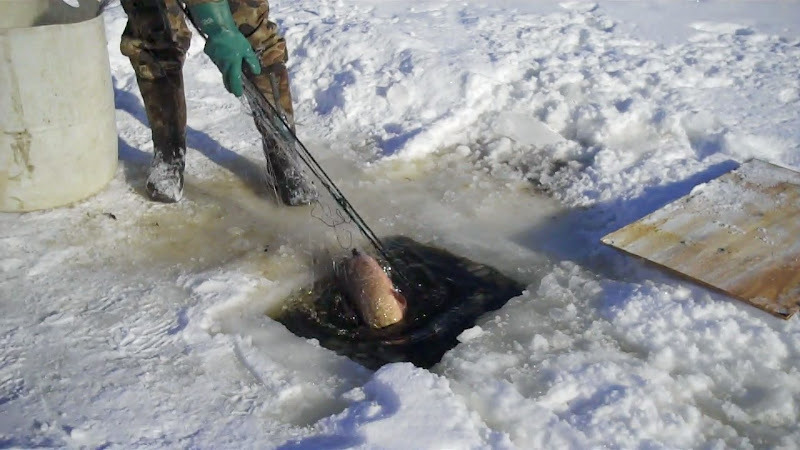 Just in case the river is frozen, there's a reserve plan....a carp is on ice in Valley's freezer. On a related note, the committee is accepting nominations for Carp King and Queen to preside over the festivities. "We try to keep ahead of that crystal ball thing they do in New York City," said Tom Nelson, the originator of the carp drop. The ten criteria for selection include someone who knows the local DNR warden by his first name and someone who has used a carp tail for a fan to cool off with. Nominations may be sent to Droppin of the Carp, Attn. Royalty Committee, 128 South Prairie Street, Prairie du Chien, WI 53821. The deadline is December 26. Beginning Wednesday, Dec. 26, family open gym and swim, and rec room use at the Hoffman Hall rec center will be offered for $1 per person. All ages can partake in these activities through Sunday, Dec. 30, from 1 to 4 p.m.
Also on Wednesday at the rec center, family bingo will be fun for all, from 1 to 3 p.m. Kids are invited to come with an adult.